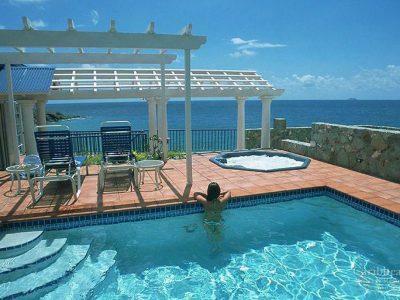 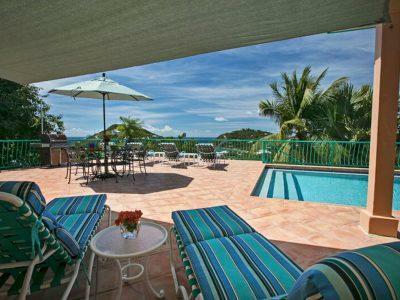 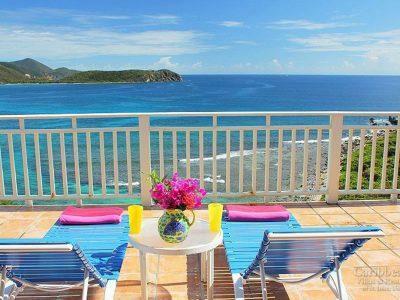 BEACHFRONT: 2 Bedroom, 2 Bath, Lime Tree Cove! 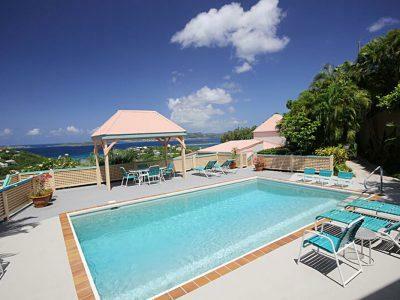 The Beach Cottage is an exceptionally romantic vacation home. 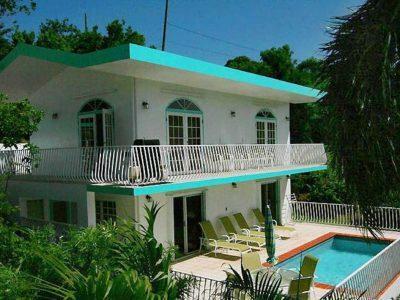 It is a one-level cottage with two very private bedrooms/baths. 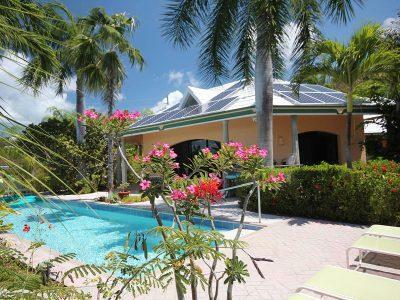 When you step onto the entry deck the master bedroom is in the building on the right, and the great room and the guest bedroom is in a separate building on the left, with an adjoining deck connecting both buildings. 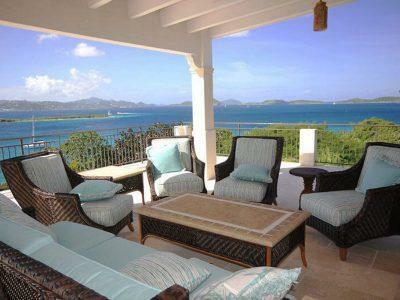 The great room houses the living, dining and kitchen areas and the guest bedroom runs along the left side of the great room. 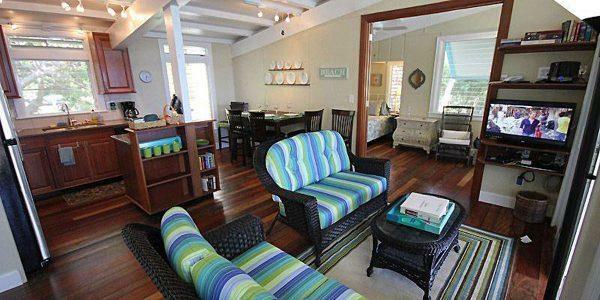 From the great room two sets of 6’ sliding glass doors open to a large (500 sq./ft.) 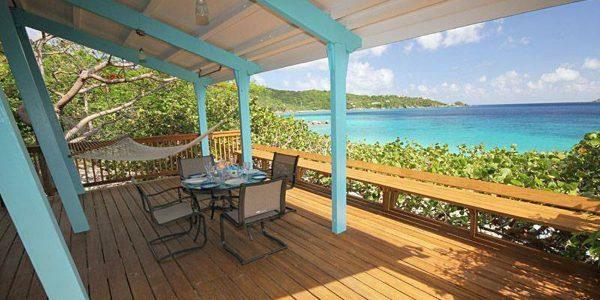 covered deck and there is a 23’ long second deck that is fully screened and covered off the master bedroom. 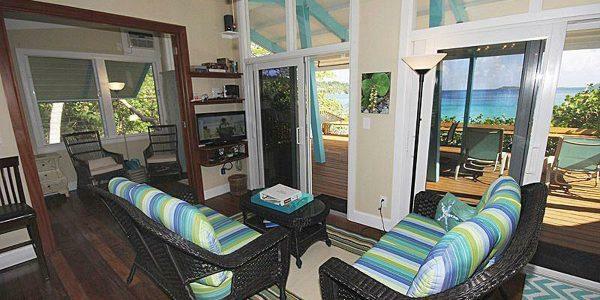 Living Dining: The great room has lovely water views and for entertainment the living area has a 32” TV/DVD and a stereo/CD. 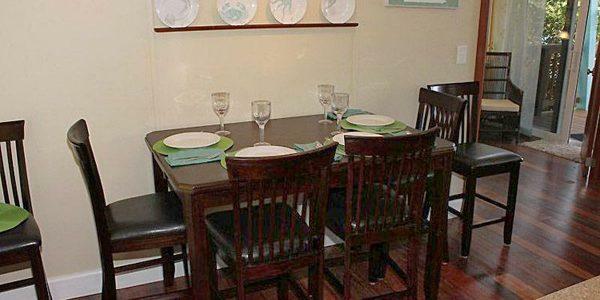 The interior dining table seats 4 – 6 while the table on the covered deck seats four. 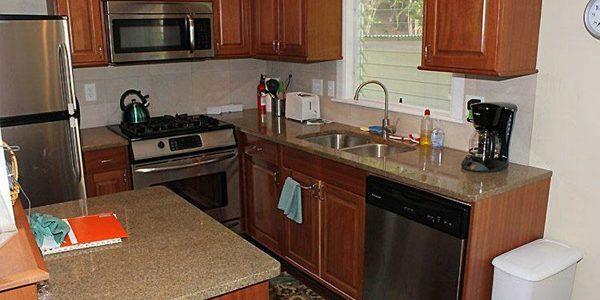 Kitchen: The kitchen is all new with a 4-burner gas stove, refrigerator/freezer, microwave, dishwasher, coffeemaker and blender, plus attractive granite counters and mahogany cabinets. 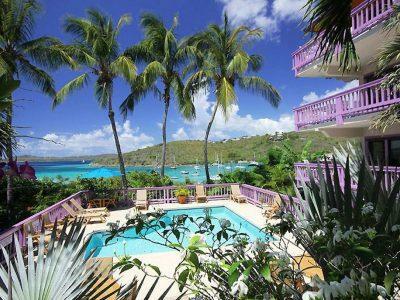 There is a washer dryer off the kitchen. 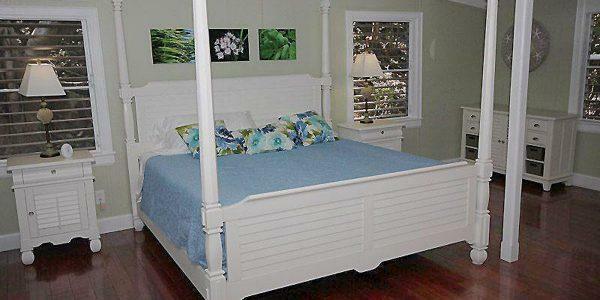 Bedroom Details: The spacious master bedroom suite has a 4-poster classic white king bed with beach views, a/c, Brazilian cherry floors, a 32” TV/DVD and a sitting area. 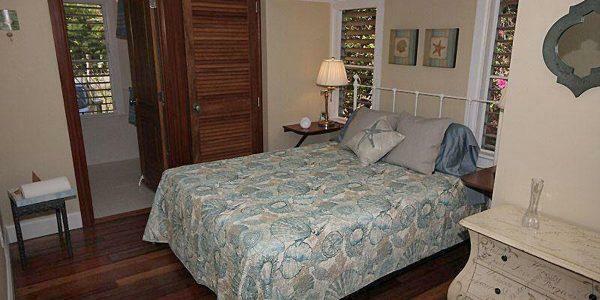 The master bedroom opens to a 23’ long fully screened porch deck that is 45 feet from the water. 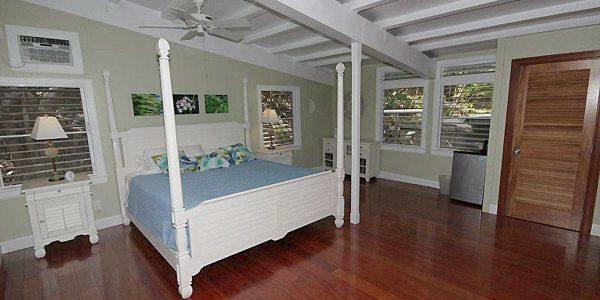 The charming guest bedroom (queen bed) is accessed through mahogany doors off the living area and it also has a/c, water views, and a small sitting area, and it opens to the main deck through a screened sliding glass door. 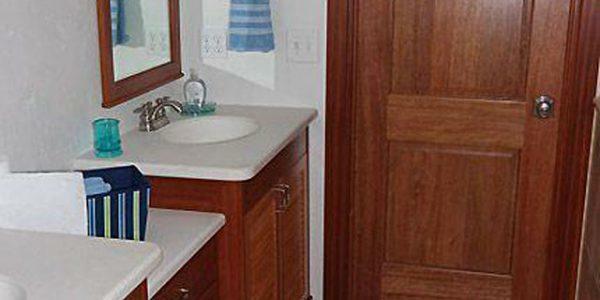 Both bathrooms are tiled and have mahogany cabinets, and both were completely remodeled in 2013. 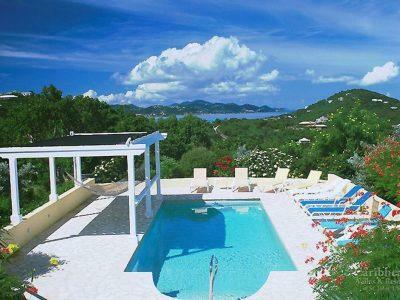 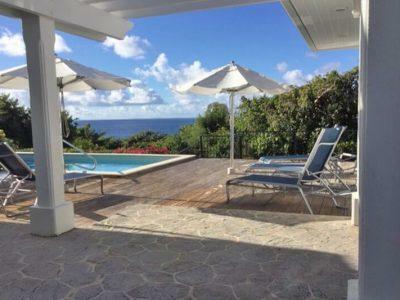 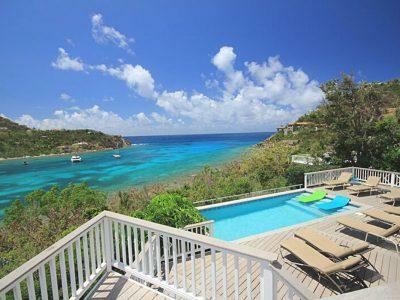 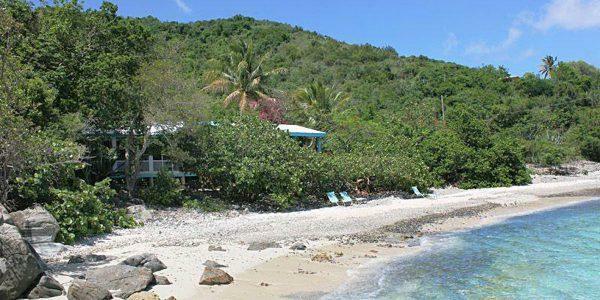 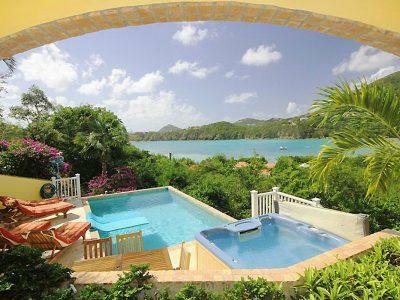 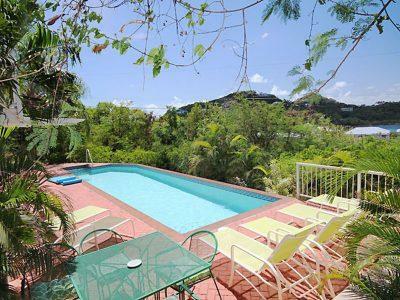 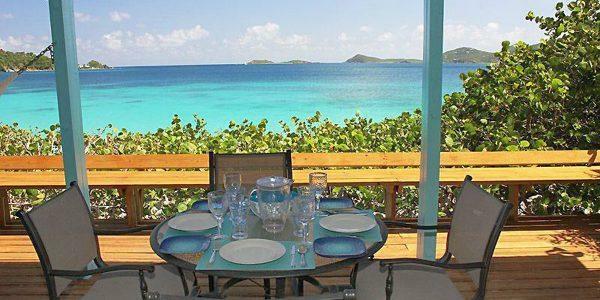 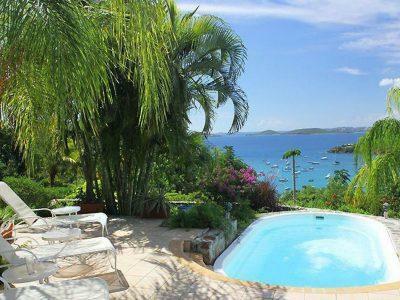 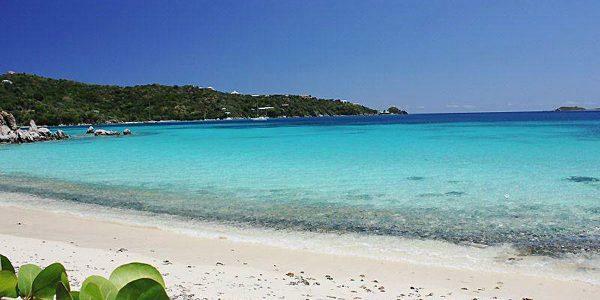 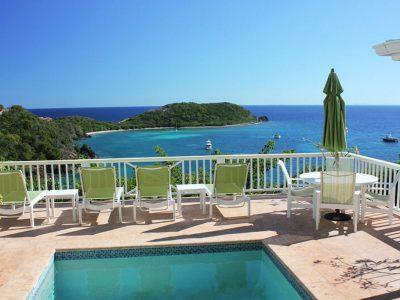 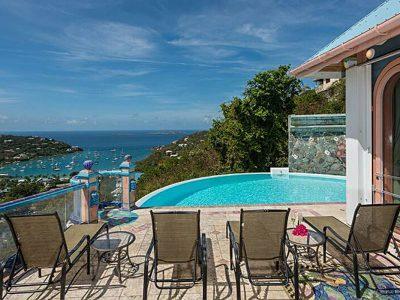 The Beach Cottage is located on the Coral Bay side of St John on the beach in a small sheltered cove called Lime Tree Cove. 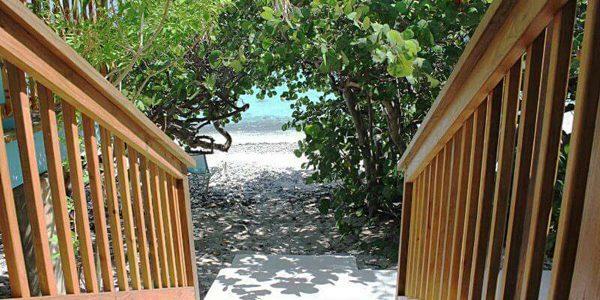 Not only is Beach Cottage the only house on the beach, but also the front steps of the cottage are only 40 feet (we measured it) from the beckoning turquoise waters of the Caribbean. 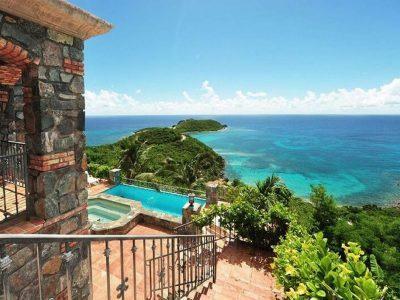 This is an exceptionally rare find on the island of St John where most of the beaches are within the National Park and no villas, condos or hotels are permitted on Park lands. 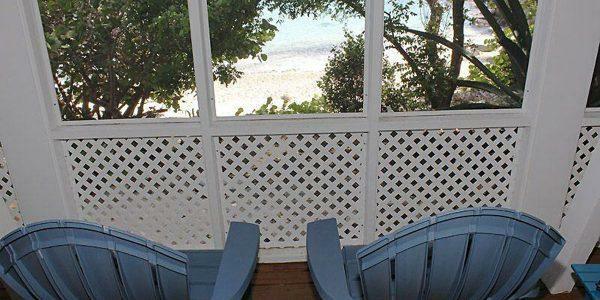 The original Beach Cottage was built before zoning laws were enacted on St John, then the Cottage was completely rebuilt on the existing footprint so it is “grandfathered” and is allowed to exist within a no building zone. 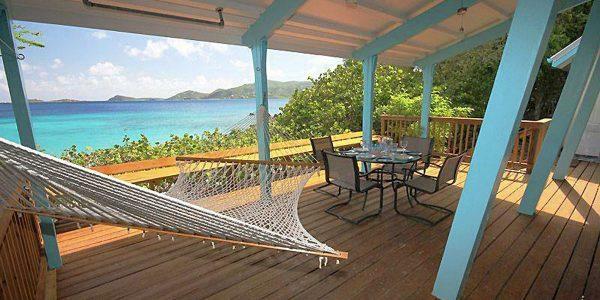 This means the Cottage is, and will forever remain, the only house on the beach. 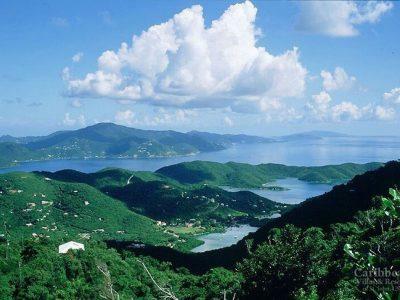 Lime Tree Cove is part of the larger Round Bay and the bright turquoise waters of the cove and of Round Bay are almost always calm because they are sheltered by the East End, which is a long, high penisula that hooks east in to the Caribbean and protects these waters. 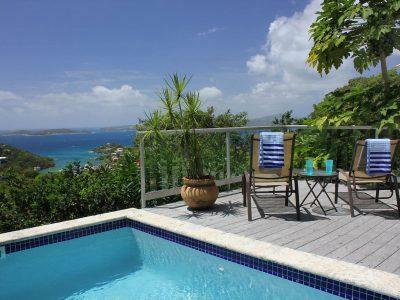 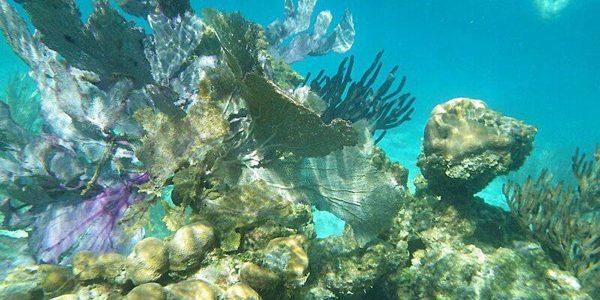 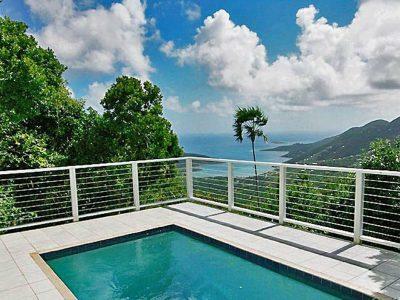 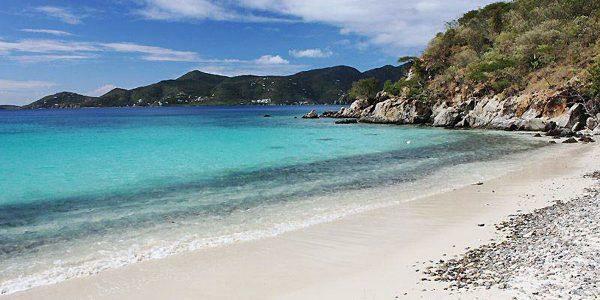 The nearly flat seas create a fantastic sea world that offers some of St John’s best swimming, snorkeling, kayaking, paddle boarding, sailing and just playing in and on the water. 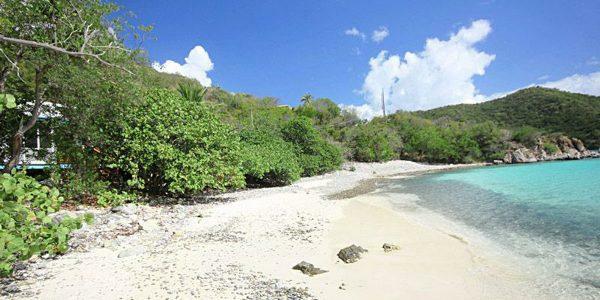 Like all the beaches on St John, Lime Tree beach changes with the seasons and storms. 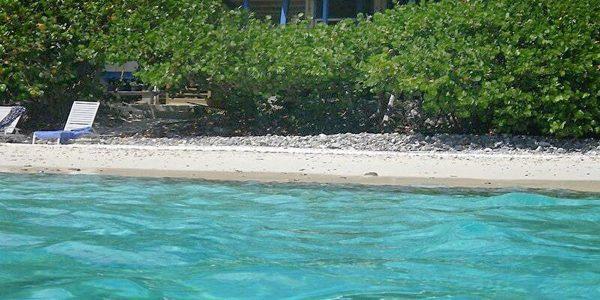 Sometimes it is mostly all sand, and sometimes it is a mix of stone pebbles and white sand. 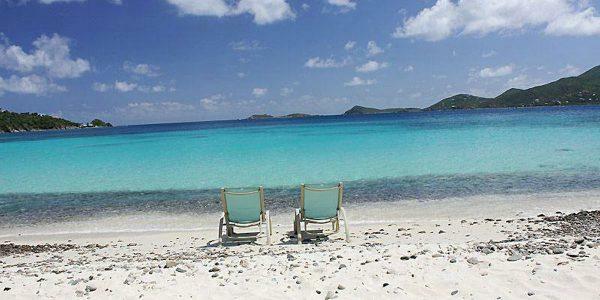 Book Online to reserve your dates at no extra charge. 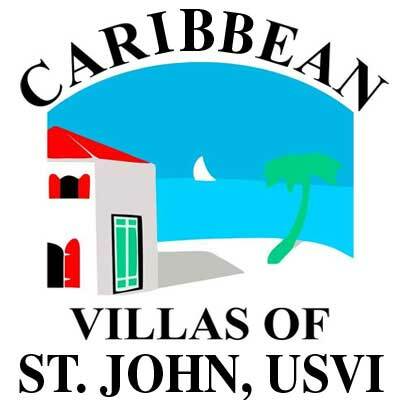 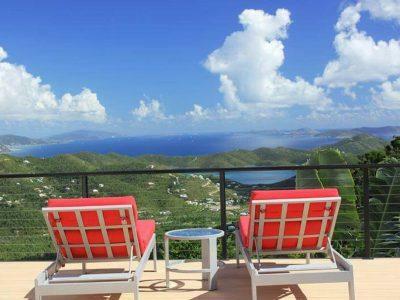 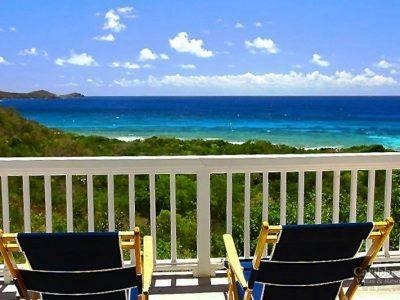 Caribbean Villas' reservation staff: Diane, Kris, Dolores, Kim Caribbean Villas and Resorts is a condo and villa management company located on St John in the US Virgin Islands. 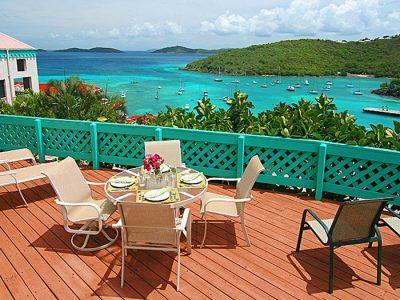 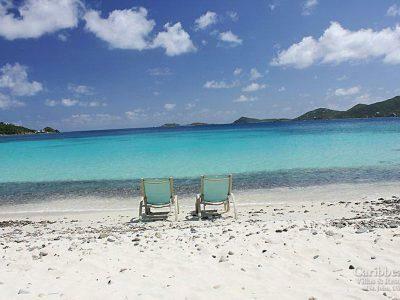 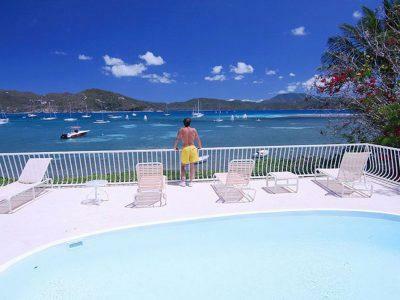 We began renting villas on St John in 1985 and we now..